5 oz. 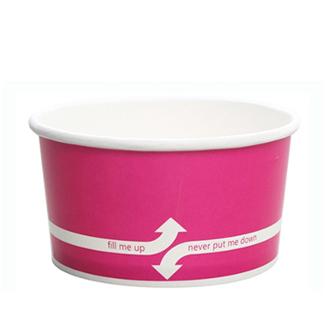 Pink Paper Ice Cream Cups are perfect for frozen yogurt, ice cream, and gelato. Ask us about custom printing options. Lids sold separately.